NOTE – This is old biography. Click her to read the Biography of Deeya Maskey. 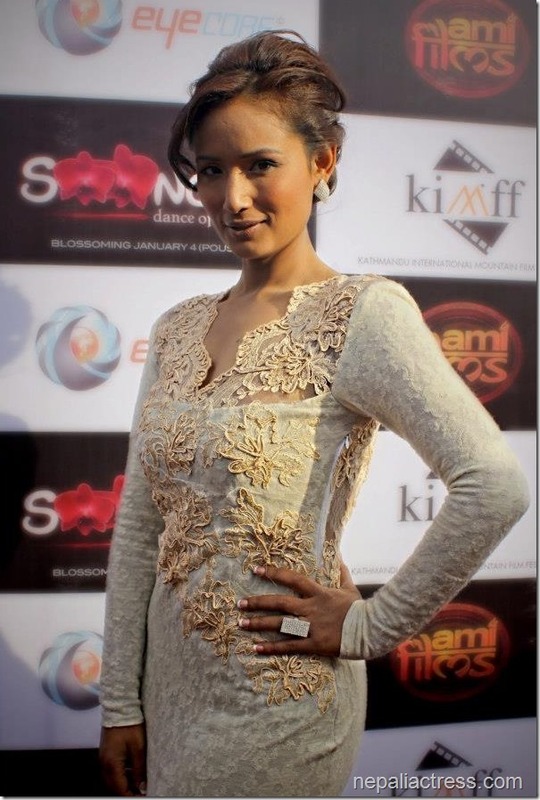 Nepali actress Diya Maskey started her acting career from television and ended up being a theater artist. At the start, her family was very negative in her choice of career. They had tried their best to stop her from being an actress. But, after her success in the field, they have changed their views about acting and are supporting her as an actress now. In movies, Diya debuted in Bhusan Dahal’s debut movie as a director, ‘Kagbeni’. Actor Sunil Thapa says that she is very talented and one of the fine artist of Nepal. Sunil has found Diya dedicated to work. There are a whole lot of actors who do acting as hobby but Diya is different. Diya’s acting is very natural and she can easily flow with the script. Apart from being a good actor she is also a good dancer and she knows a lot about dancing. To sum up, Diya is a versatile and professional actor. Singer Reshma Sunuwar has also found Diya being very professional in her work. She is creative and enjoys her freedom. Reshma knows Diya very personally and she is also very close to each other. Diya respects others work. In personal level, Diya is carefree and fun loving person. She enjoys her freedom and prefer to work stress-free. In case Diya didn’t like somebody, nobody can change her mind. One more thing Reshma noticed about Diya is that she doesn’t like to build a public relation and wants to remain away from media. That is something she should work out an be more visible to the public. Apart from being co-worker, actor Anup Baral is one of the guru of Diya Maskey. He says, he likes the way Diya works. He has found that Diya is always prepared and she pre-plans things such that it is much easy to work with her. As a person, she is also a very good human being – a very emotional and spontaneous person. In acting, she always does everything to bring out the best of her. Although Diya is a practical person, needs to work out a be a bit more practical as a person. This entry was posted in Movie actress, Stage Actress and tagged Diya Maskey. Bookmark the permalink.